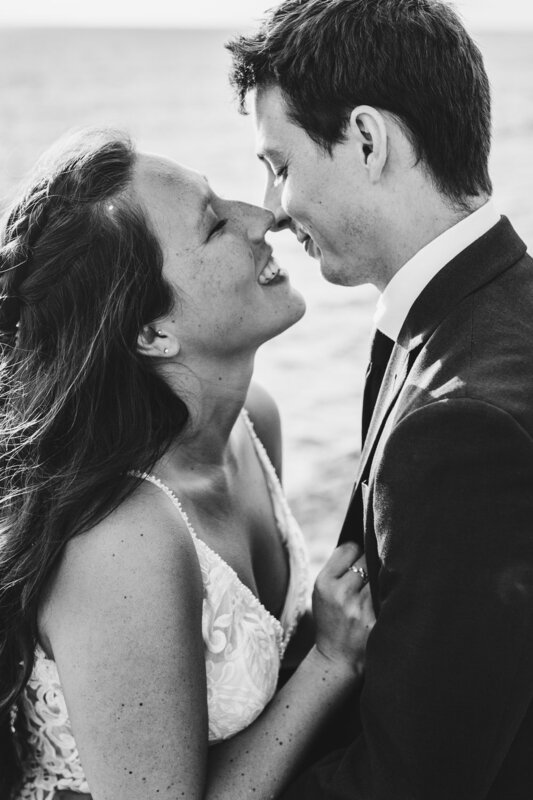 I have known Riley since I was in middle school - we even went to the same college and played (more like destroyed!) 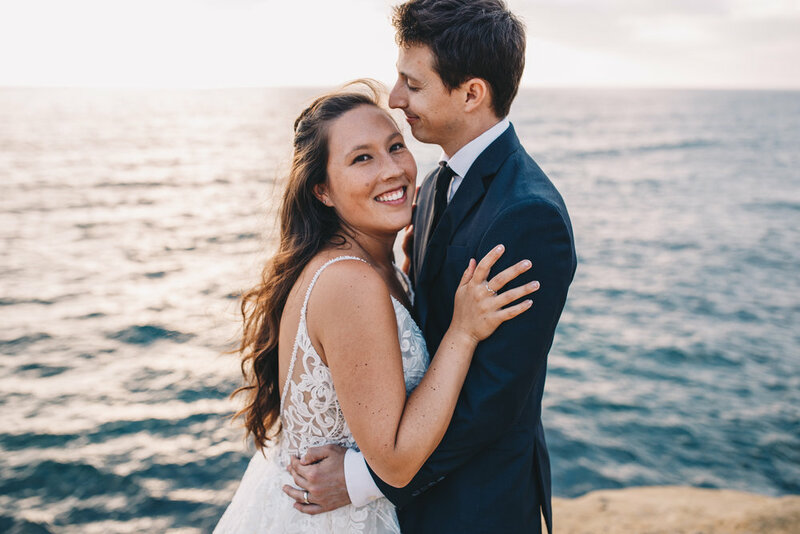 intramural volleyball together. 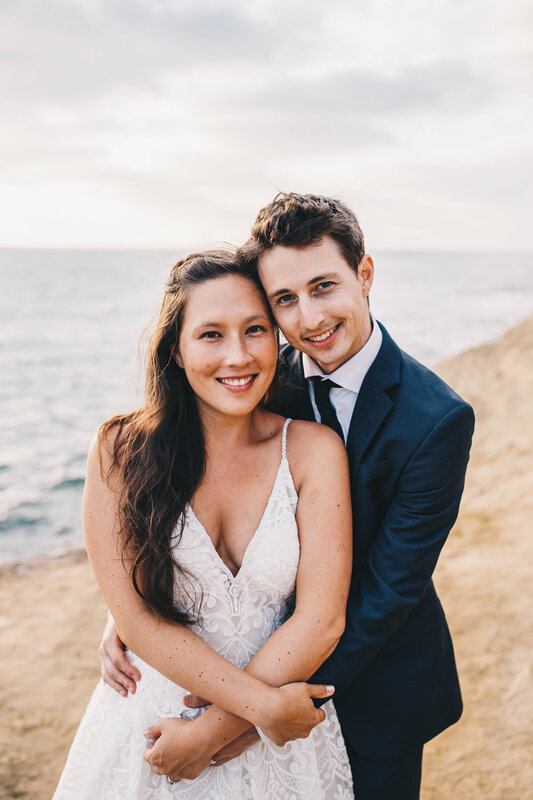 I went to their wedding as a guest and had the best time! 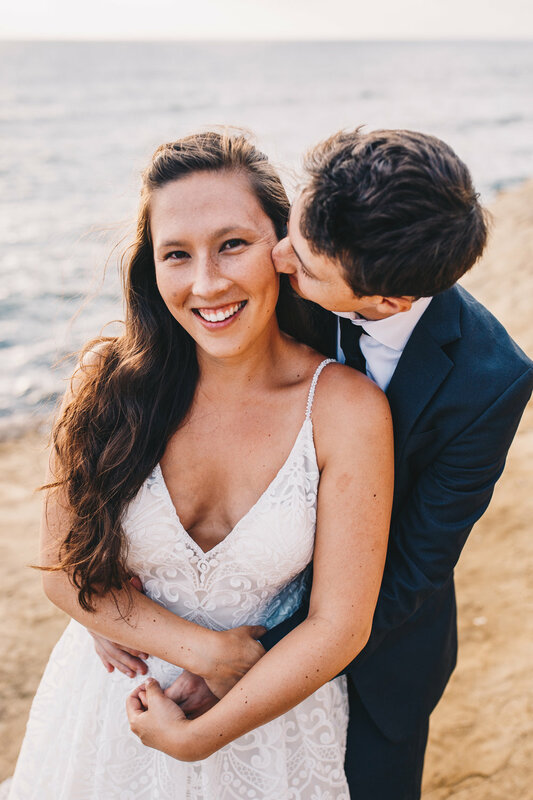 It was a gorgeous night with friends and family and tons of dancing. 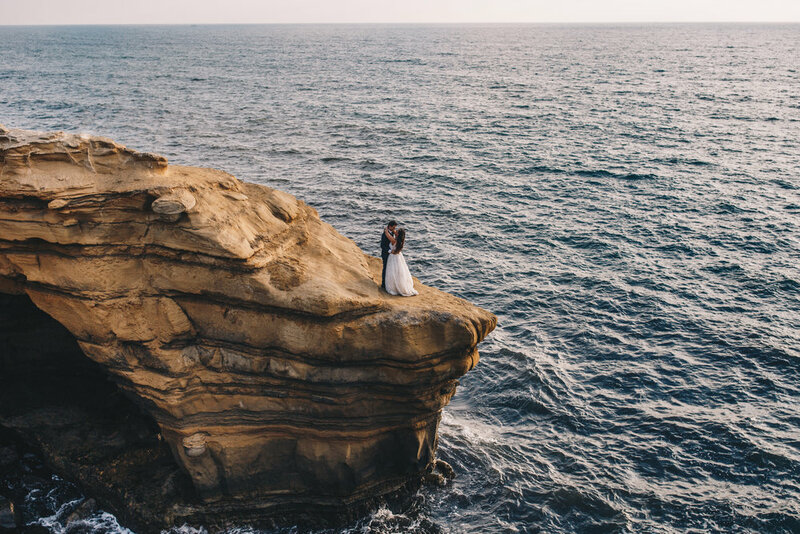 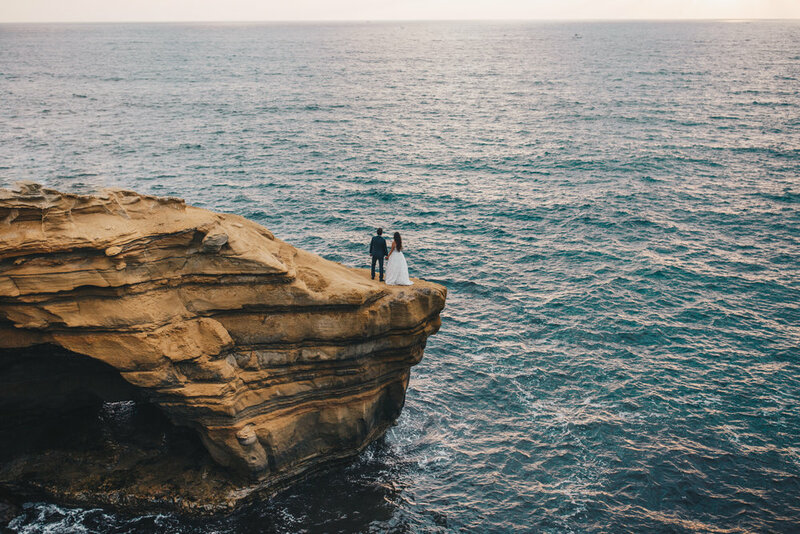 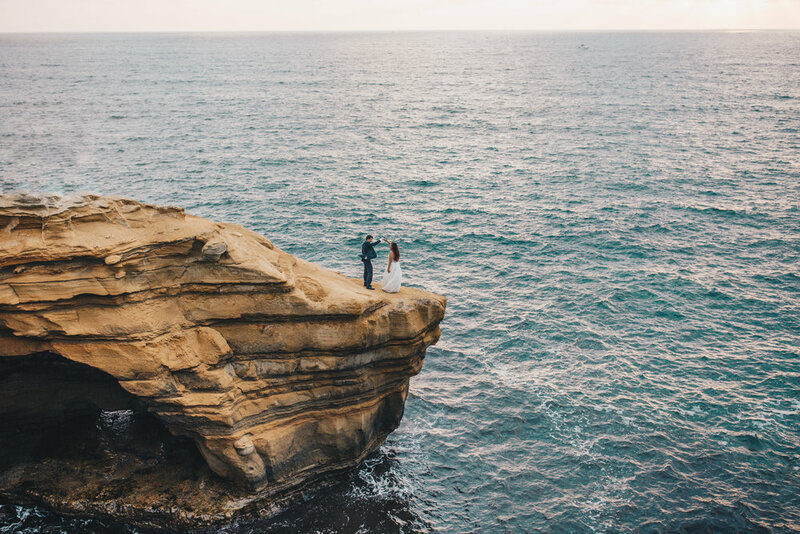 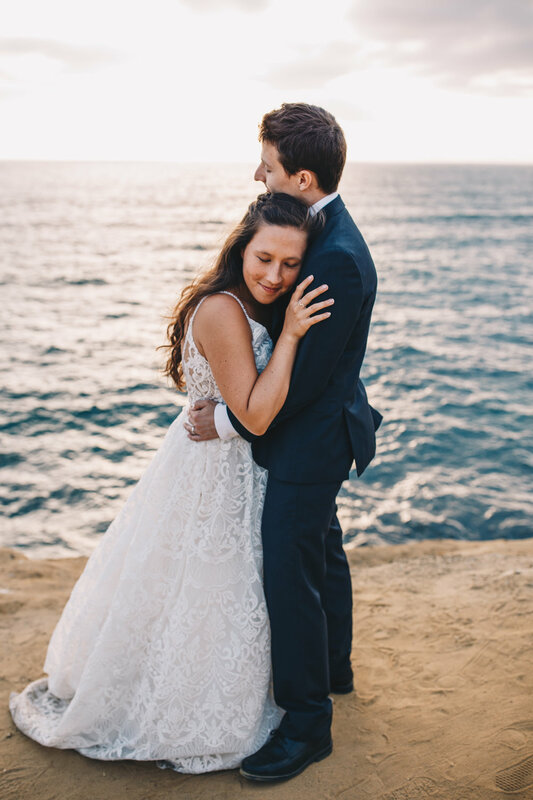 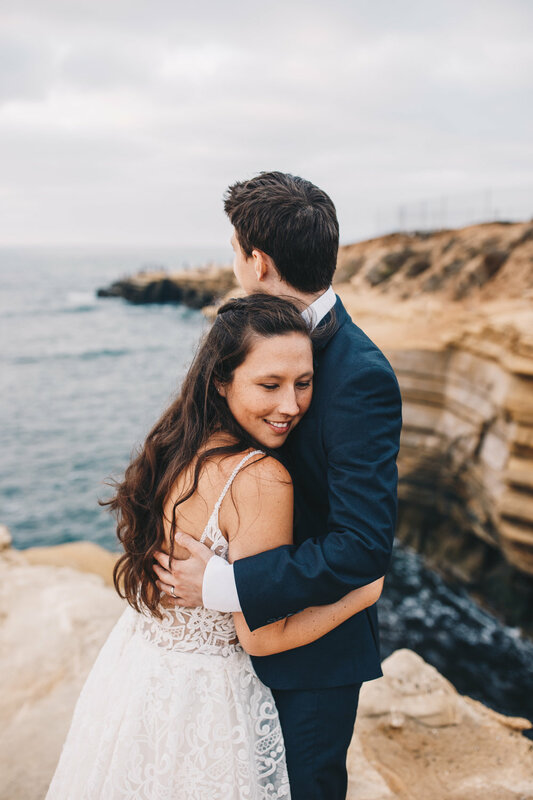 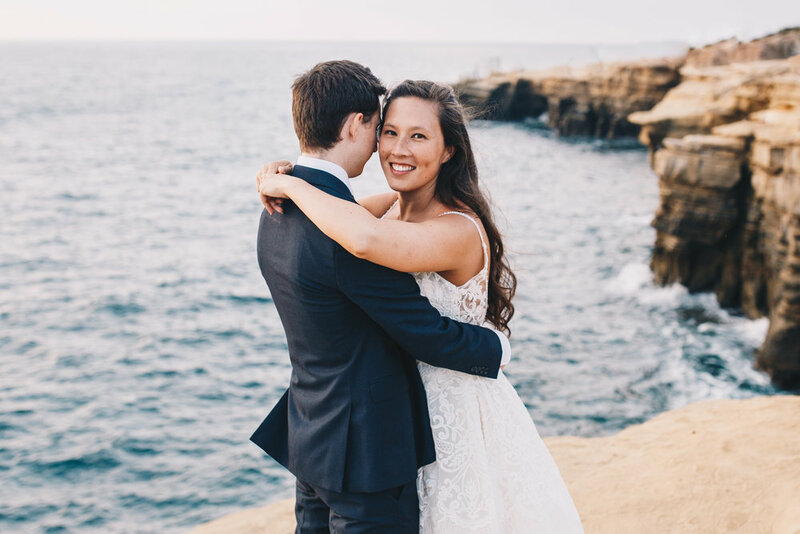 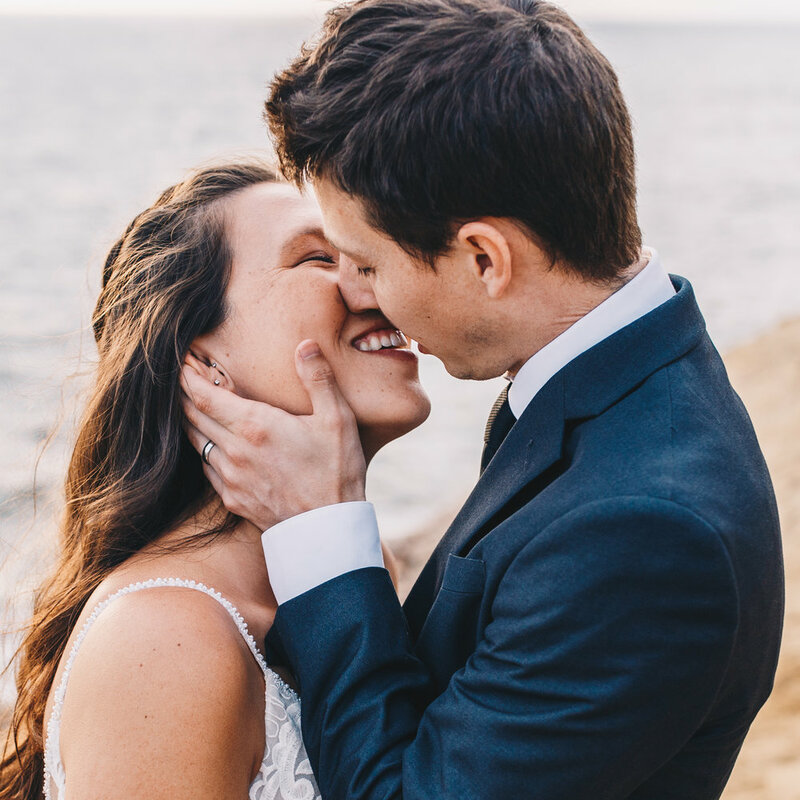 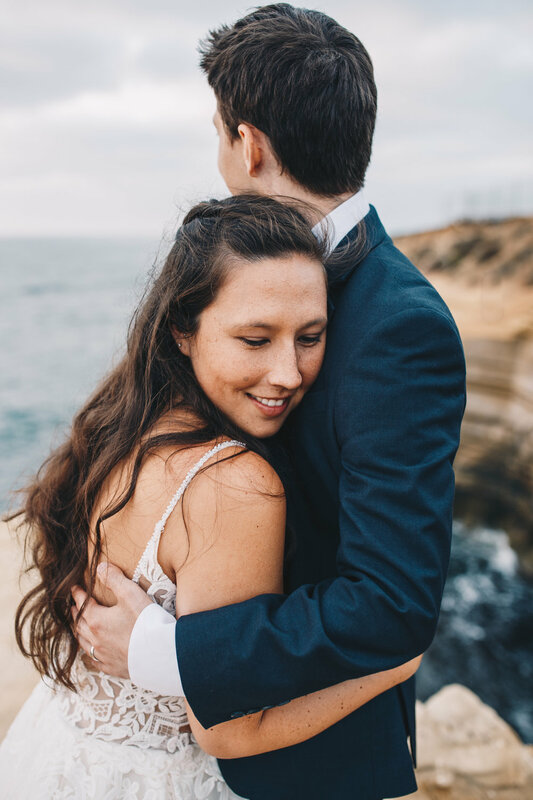 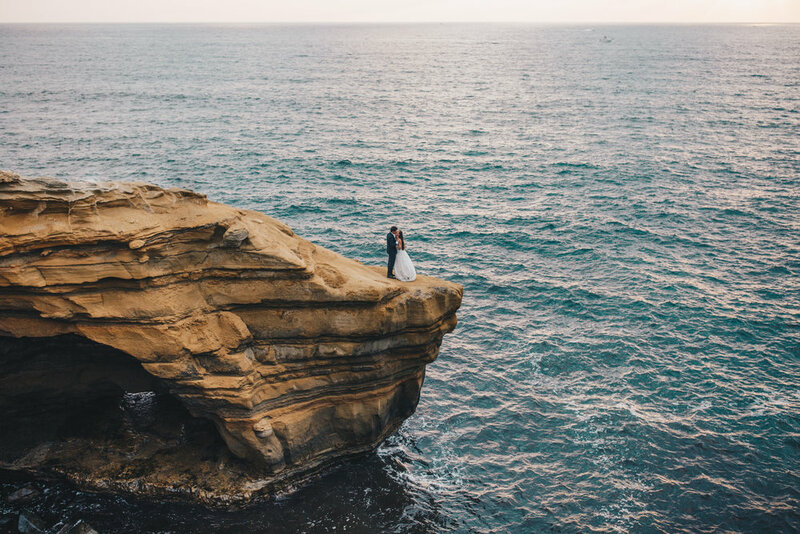 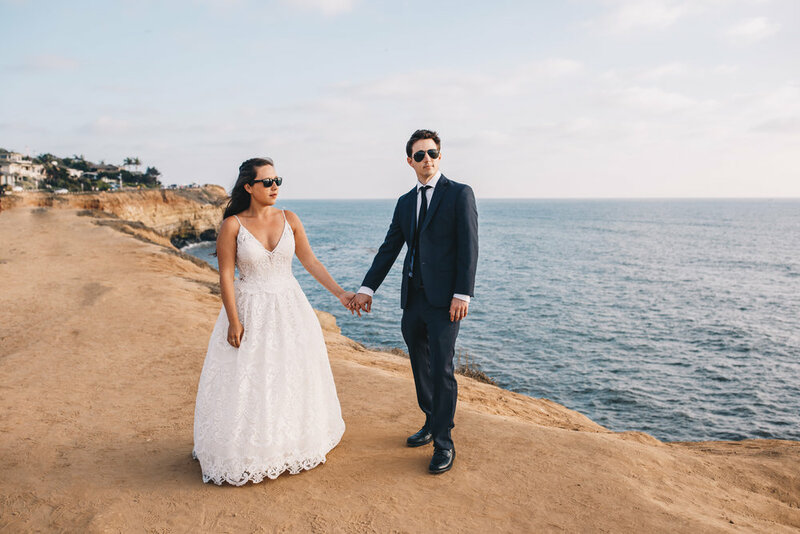 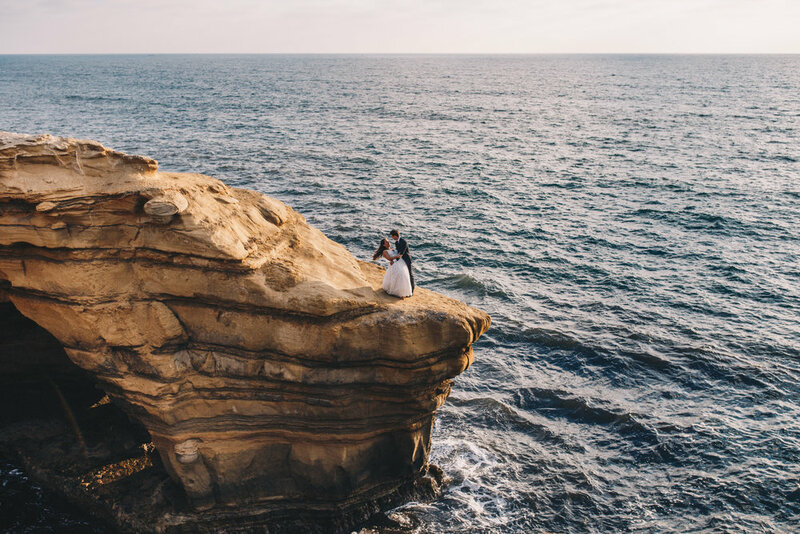 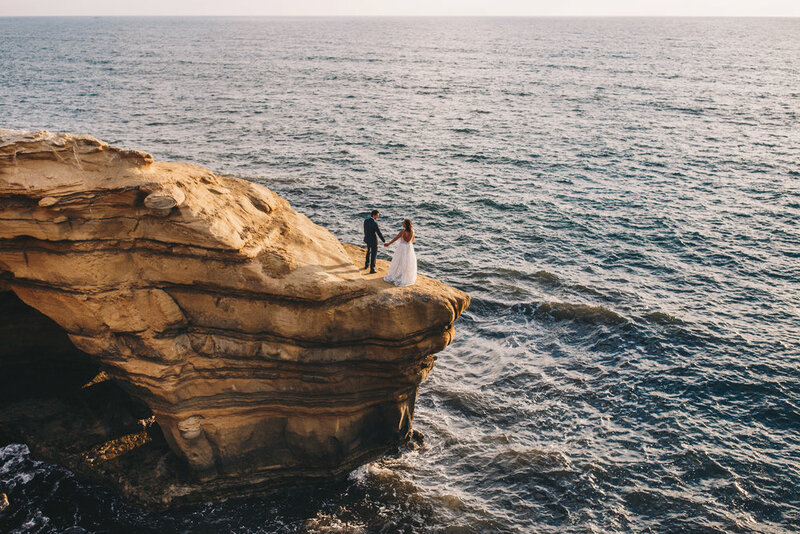 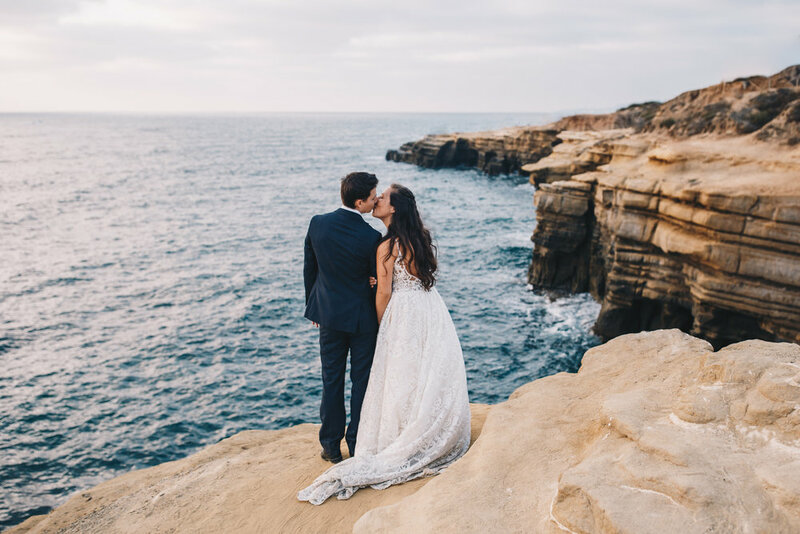 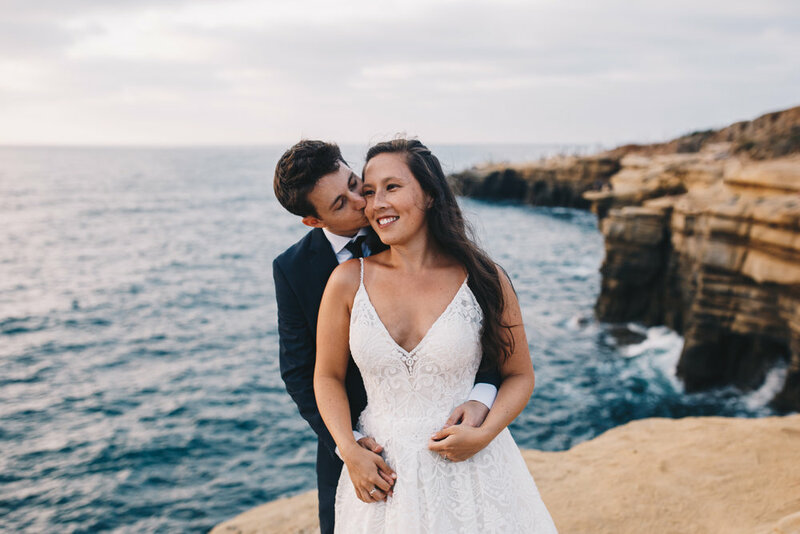 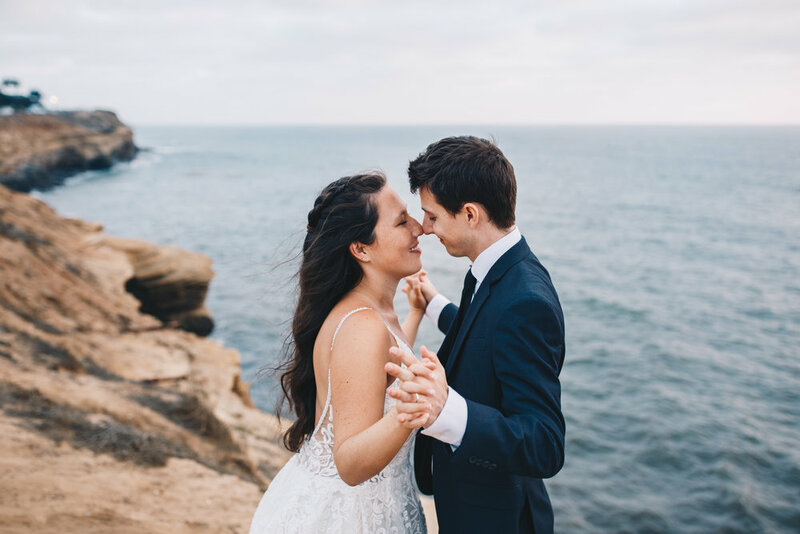 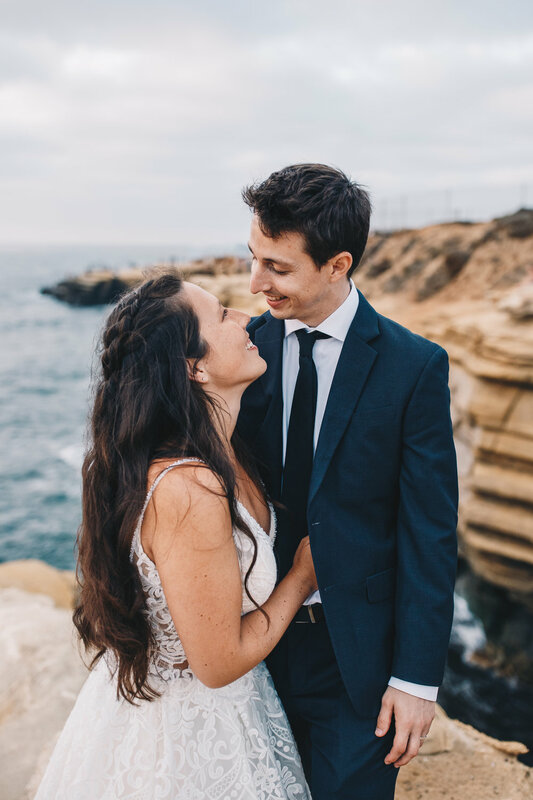 We met up a week later for a bridal session at Sunset Cliffs in San Diego. 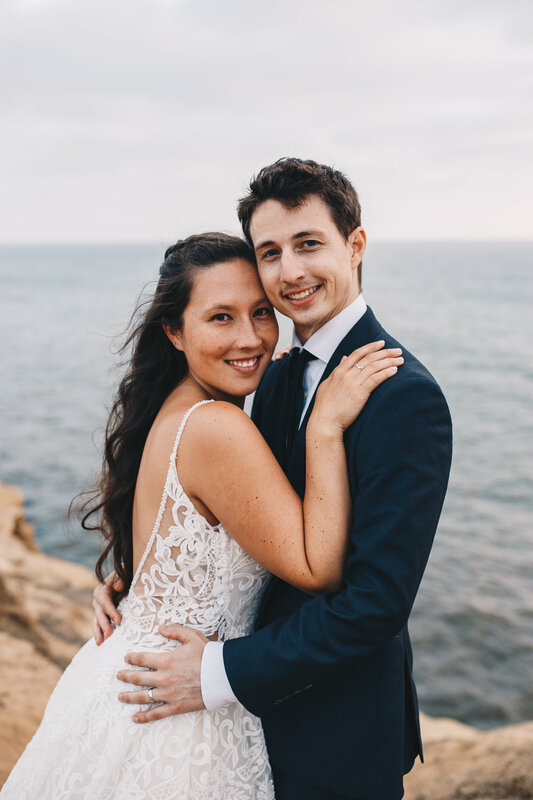 There were about a million other people there on a Saturday night, but everyone was so nice and allowed us to take over a bit of the space. 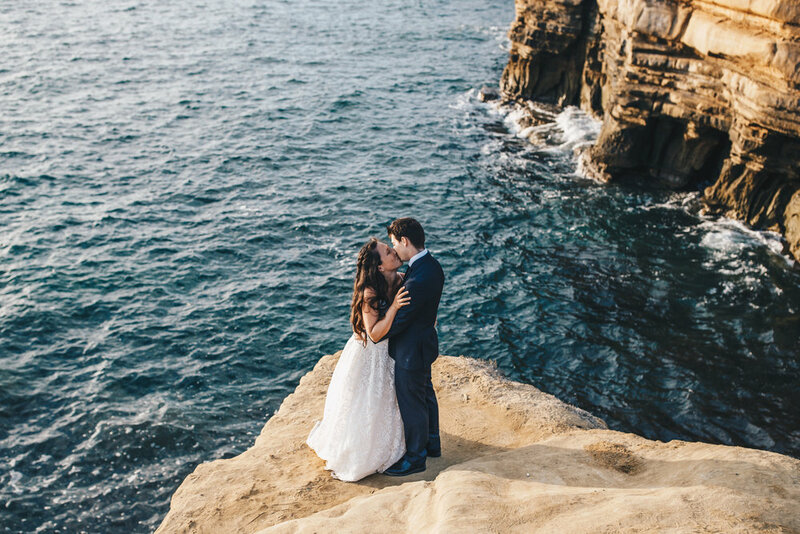 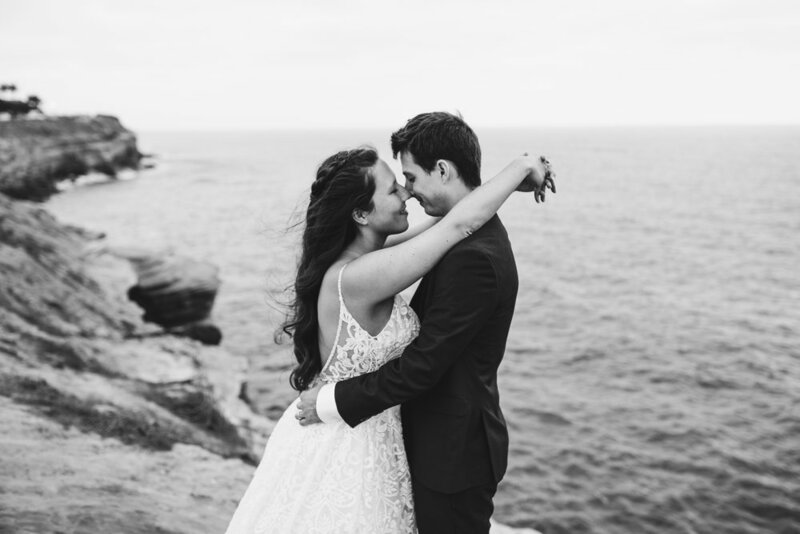 I am so glad Riley and Kevin were willing to venture down to the cliffside to get some epic shots! 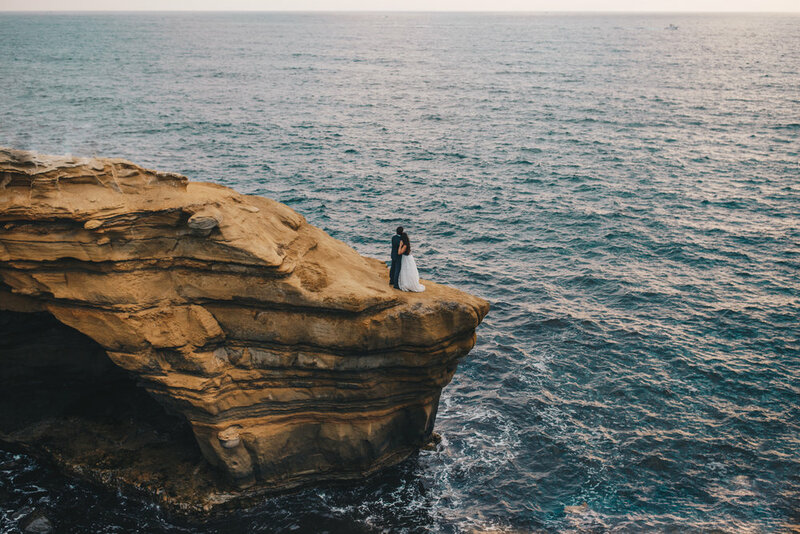 I’ve always wanted to shoot here because of the insane views and deep blue tones of the water- but next time, I will go when it is less crowded to save me the photoshop time!